Words: "Wie Soll Ich Dich Empfangen? ", Paul Gerhardt (1607-1676), 1653. Music: "Ah! 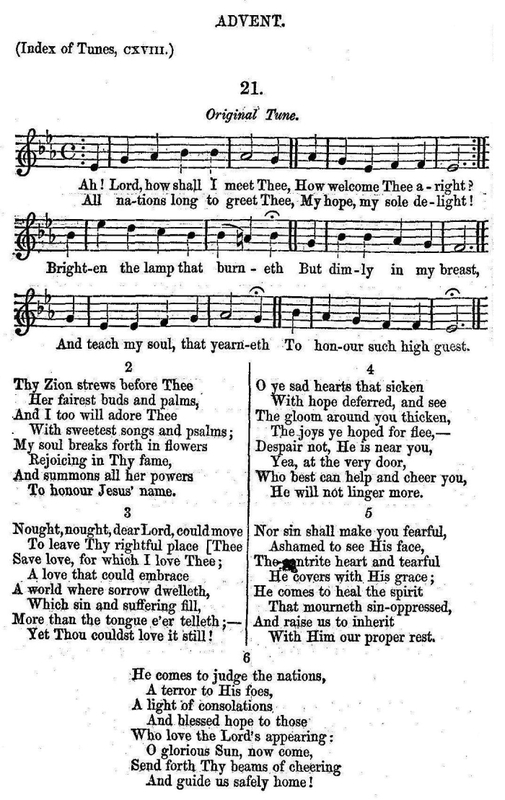 Lord, How Shall I Meet Thee"
Source: William Sterndale Bennett and Otto Goldschmidt, eds., The Chorale Book For England. Congregational Edition. (London: Longman, Green, Longman, Roberts, and Green, 1863, Supp. 1865), Translator: Catherine Winkworth, #21. 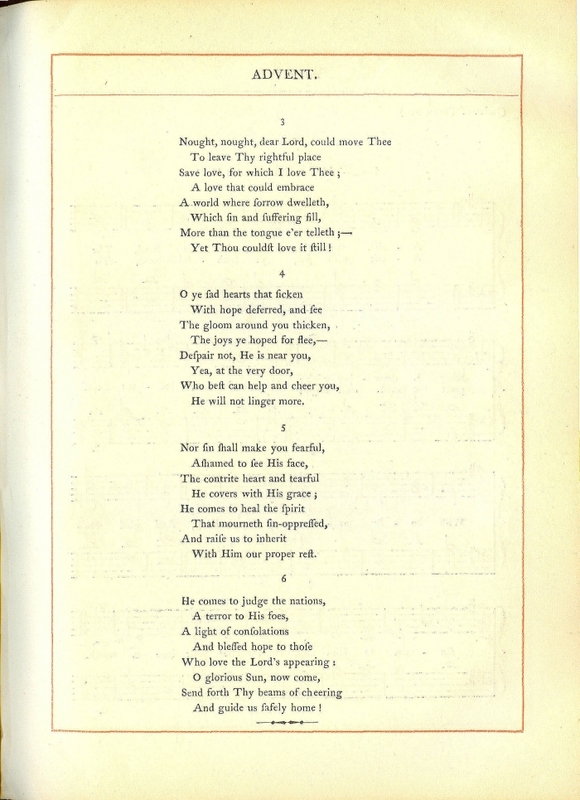 Sheet Music from William Sterndale Bennett and Otto Goldschmidt, eds., The Chorale Book For England. Congregational Edition. (London: Longman, Green, Longman, Roberts, and Green, 1863, Supp. 1865), Translator: Catherine Winkworth, #21. 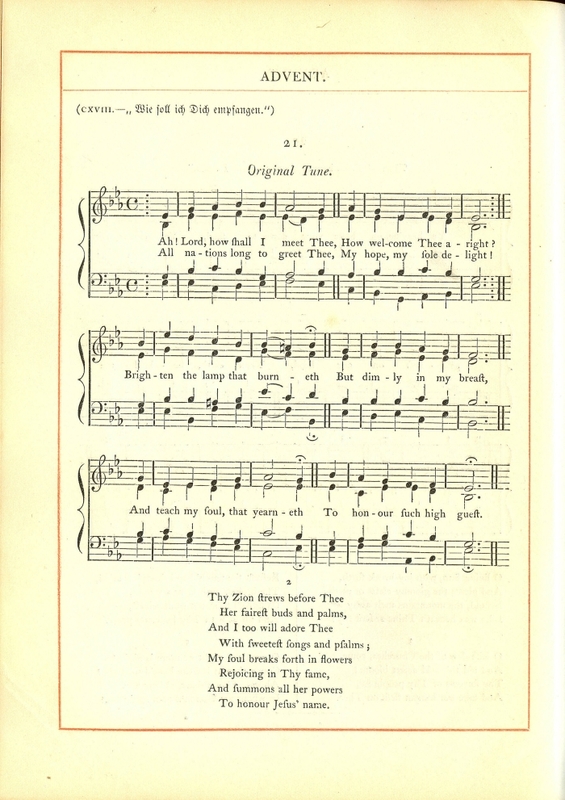 Sheet Music to "Original tune" from William Sterndale Bennett and Otto Goldschmidt, eds., The Chorale Book For England. (London: Longman, Green, Longman, Roberts, and Green, 1863), Translator: Catherine Winkworth, #21.